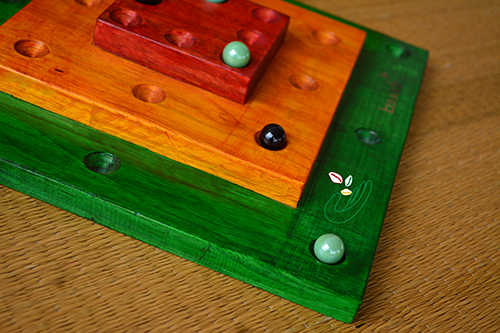 A strategy game from South Africa, Morabaraba is a 2-player game that is similar to Nine Men's Morris. Morabaraba was popular among youth who herd cattle and therefore the game pawns are called 'cows'. 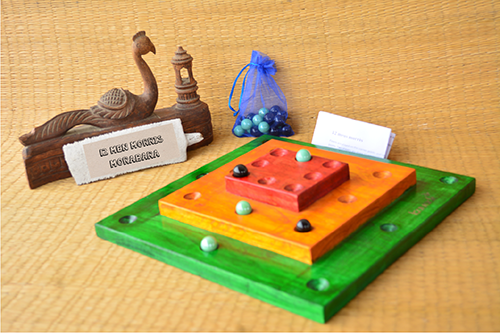 This set includes a handcrafted wooden game layout, and marbles for play peices.